owers and Perils is a RolePlaying Game written by Richard Snider and published by Avalon Hill in 1983. Powers and Perils was published as a bookcase game, No. 852, and consisted of four basic rule books and a fifth book describing an introductory adventure. The adventure was set in the Perilous Lands, the game world described in a separate bookcase publication, No. 8522. The Perilous Lands was published in 1984. Powers and Perils has been described the most elegant roleplaying game, as well as the most complex game ever developed, although not by the same people. Fact is that Avalon Hill published one sepearte adventure, Tower of the Dead, in 1984 and published some material in its game magazine Heroes. After 1984 they completely dropped the game and all support for it. At the end of 1997 Avalon Hill, when questioned by several active players, answered that they had no intention to republish the game in the near future. In mid 2000 Hasbro, who by then had acquired Avalon Hill, also stated that they had no intention to republish the game. Even with this total lack of support, there is a remarkable number of players still playing P&P. More info can be found on the P&P players page. Alternatively visit their website For contact information, you are redirected to the Wizards of the Coast website. Avalon Hill is a division of Hasbro nowadays. Wizards of the Coast is also a Hasbro division. None of the companies offers any support for P&P. 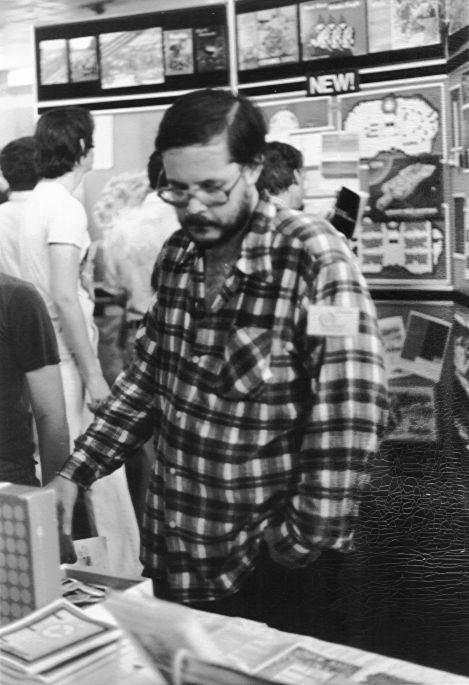 Richard Snider (1954 - 2009) Biography. During his life, Richard often used references to his fantasy work for email addresses: abnaric@ and Sylverss_dragon.